Barclays is rolling out 8,500 Apple iPads across branches to improve interaction with customers. Shaygan Kheradpir, COO at Barclays' retail and business banking division, told Computer Weekly earlier this year that the company was planning numerous mobile developments for staff and customers. Barclays looked at different tablets before deciding on the iPad, which will now be rolled out across the UK. 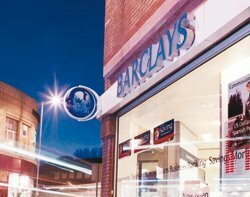 A Barclays spokeswoman told The Register the devices will assist branch staff when interacting with customers to improve the customer experience. "We investigated a number of different tablet options and in this instance, we concluded that iPads were the best solution for their specific needs. We are now starting to use these across Barclays branches in the UK," she said. Barclays is not the first British bank to standardise on Apple devices. In 2010 Standard Chartered announced plans to migrate thousands of staff from the Blackberry to the iPhone. The bank initially moved 15,000 staff but with 75,000 staff in total it is expected to go further. Standard Chartered said the move is a response to a change in technology with a long-term vision to back it up. It said the iPhone is a way to develop in-house mobile applications, cut costs and enhance employee satisfaction. The project saw the first major UK corporation standardise on the iPhone smartphone to support mobility to its employees. Todd Schofield, global head of mobility at Standard Chartered headed up the project. He told Computer Weekly in 2010 that the strength of the iPhone is its App Store, as well as its dual capability for staff at home and at work. tailored solutions to meet your business needs..
iPads were the best solution for their specific needs.